I began my job search by scouring the websites of various Swiss employment agencies, such as Adecco, JobUP, Monster, Blue Infinity, and many others. I found many jobs that I thought would be perfect for me, as they involved tasks similar to those that I performed for my previous company. “Great,” I thought, “this shouldn’t take too long.” And so I happily registered with each website and sent off my applications for the jobs I had found. I also took Christelle’s advice and emailed my Curriculum Vitae to the email addresses of some employment agencies that she had found for me. Gradually over the next few days, the rejections started to come in. It turns out that all the companies advertising the jobs that I felt were perfect matches for me viewed me as either “too inexperienced” or “too qualified”. Kind of a Catch 22 situation – I was too qualified for the junior positions and too inexperienced for anything above that level. Christelle and I immediately started to worry as we had expected more positive feedback than just the rejections that I had received. Even the employment agencies did not offer any glimmers of hope – they either didn’t reply or replied stating they had nothing for me at this time. In England, they would normally have at least invited me in for a registration interview to discuss what I am looking for, but here they didn’t even go that far. Slightly concerned, we looked into the possibility of improving my Curriculum Vitae. Initially, this involved re-writing it to ensure it was as precise as possible whilst also not being too long. My original CV (that I had sent for job applications) was about two and a half pages long. I read on various “improve your CV” websites that you should try to fit it on a single page if possible, but certainly no more than two pages as companies simply do not bother to read anything longer than that. If you think about how many CVs a company receives for each advertised job, then you can understand why they wouldn’t have time to read those of three or more pages. The websites also said that your CV should look attractive and be very clear, as the person reading generally makes a decision on whether they will take the time to read the whole thing through a quick glance at the first page. When I had finished with the re-write (which included approximately thirty different versions), I had managed to get my Curriculum Vitae down to two pages, but really could not see how to get it any shorter than that without chopping out parts of my employment history, which I did not want to do as I felt it might leave out important information for any prospective employers. So, I pressed ahead with the two page version, updated this on the various employment agency websites I had registered with, and went back to searching for a job. However, whilst re-writing my CV we thought that it might not necessarily be the layout that was causing companies to reject me, but rather the content. 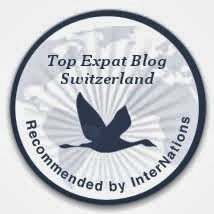 “Maybe I am just not qualified enough for a job in Switzerland?” I asked myself. I am not the kind of person who will just sit around moping – especially not with my coach, Christelle, behind me pushing me to improve myself and aim as high as possible. So, I looked into the idea of doing a course in an IT subject that might make me stand out a bit more. After much research and deliberation, I decided to sign up for a home study course to become a Microsoft Certified Technology Specialist in SQL Server 2005. Lots of the project manager jobs I had seen advertised on the Internet involved some aspect of databases – from spearheading projects involving the design or update of databases, to implementing new ones – so I thought that getting a qualification in this area might offer me a helping hand on the way to employment. The idea of the course, provided by Seek Learning, was that I would use an interactive online study system to learn about SQL Server 2005, and then pop down to a local exam centre when I felt I was ready to take the exam. I set myself a target of passing the exam (and therefore getting the qualification) as soon as possible, ideally before Christmas, so that I could then put all my efforts into the job search with a renewed belief in myself, my abilities and my CV. I threw myself head first into the course (in mid-October), and started trying to absorb all the information I could. However, as anyone who has ever tried to pick up a new computer language knows, things are seldom as easy as they seem. With only the course study materials (plus general Internet searches) to help me, I plodded methodically through the modules, occasionally despairing at how much information there was to learn. It seemed like an impossible task to try to pass the exam before Christmas, but I tried to remain positive and just keep going (images of Dory from Disney’s Finding Nemo chanting “just keep swimming” spring to mind). Through sheer dedication and persistence, and after enduring hours upon hours of staring at the computer screen each day, I made it to the beginning of November and was ecstatic to see the end of the course modules in sight. This motivated me to set a real deadline by booking a date for the exam itself – I checked availability with the local test centre in Lausanne and signed myself up for the MCTS exam on Thursday 12th November. If everything went according to plan, I would be certified almost a month earlier than I had planned, which should give me a head start on the job market. In the final few days before the exam, I managed to finish the course material and spent every possible hour re-reading what I could in the desperate hope that some of the mountain of data would actually stay in my head long enough for me to at least pass the exam. As the day approached, I became increasingly nervous, as I saw this as the only opportunity I had to revamp my CV and then find a job in my new country. I had never been particularly good with exams (I preferred coursework to exams whilst at school, far less pressurized), so the added stress of what failure might mean did not make for the ideal exam preparation. Carrying this pressure on my shoulders, coupled with the sleepless nights of worrying, meant I didn’t feel particularly confident when exam day arrived. Nevertheless, I did my best – and it turns out my best was good enough, as I emerged from the exam centre with good scores (around the 90% mark) and a Microsoft certification. All the stress and worry evaporated in an instant, giving way to a sense of euphoria and achievement. Finally, my job search could start in earnest, with what I perceived to be a much greater chance of success. After adding my new qualification to my CV (now on version 40-something), I started sending it forward for job advertisements again, making sure to point out in my cover letters that I had recently successfully completed a Microsoft course, and had therefore not been sitting on my arse doing nothing since moving to Switzerland. The latest version of my Curriculum Vitae did not stay current for long. Christelle’s cousin’s boyfriend, Patrick, had mentioned that his company might be looking for a new project manager in the very near future, and said it might be worth sending my CV to them. “Fantastic idea,” we thought, “anything that might help me get a job is worth doing”, and so we sent the latest version over to Patrick. He came back with quite a few suggestions for improvements, most notably that it should be just one page. “Ah crap”, I muttered, as I remembered the hours I had spent redoing the damned document just a few weeks earlier. Despite my reluctance, I re-wrote my CV (now up to version 50 or so), and in the end was very happy with the finished version, which we sent to Patrick’s company as a spontaneous application, and then kept our fingers crossed for a response. In the meantime, I continued to apply for jobs through the agency websites, scouring the Internet for new posts each day. As Christmas approached, fewer companies advertised new roles, something that often happens as we near the end of the year (both for financial reasons and because people are too busy thinking about presents and giant turkey – or fondue – dinners). Worryingly, at the start of December, I once again started receiving rejections to jobs I had applied for. Even with my new qualification, and the stylish one-page Curriculum Vitae, companies still did not seem interested in inviting me for an interview. Just before I began to despair, I was contacted by a nice lady from Adecco in Lausanne, who said that she was keen to speak to me about a job vacancy she had received from a company in Morges (west of Lausanne). Delighted that someone had finally replied to me with something other than “We regret to inform you…blah blah blah”. I promptly arranged an interview date with Adecco and gave myself a pat on the back. During the interview – which was only to see if it was worth them sending my CV to the Morges company – I surprised myself by managing to speak in French for the entire time (roughly an hour). I guess my level of French had improved a bit in the two months since arriving in the country. As it turns out, the job in Morges was for an IT support position, so something that was not really my current line of work, even if I had experience of that type of role from earlier in my career. Although I was exceedingly hopeful of getting the job, there was a nagging part of me that doubted it would be good news. Unfortunately, the nagging negative outcome became a reality, as Adecco informed me that the company had decided to look at other candidates who were more suited for the role. Devastated, Christelle and I once again began to question whether it was actually possible for me to find a job in Switzerland. Just as the negative thoughts were beginning to grow, I received a call from the HR lady at a company in Fribourg, saying she was very interested in meeting with me for a Project Manager position they had available. After chatting for a while on the telephone with the HR lady, who was very friendly and easy to talk to, we arranged for the interview to take place the following Monday. I knew from prior experience that it is important to do your research on the company before going to a job interview, to show that you really are interested in the company instead of just turning up and “winging it”. Eager to ensure I impressed at the interview, I went shopping that weekend and bought a new shirt and tie. I thought I looked absolutely spiffing, and I guess the company agreed – after a three hour interview (with both the HR lady and my potential manager), I was told that I was pretty much a shoe-in for the job, even if I had sort of stumbled through the part of the interview where I spoke in French. Elated, I felt that my job search might soon be coming to an end, and I would be able to head back to England for Christmas and give my family the great news. As Christmas edged closer, I had not heard back from the Fribourg company. Christelle and I began to feel slightly unnerved by this, even if the HR lady said I was the only candidate for the role. Why had they not been in touch? Had something gone wrong? Had they changed their minds? A phone call to the HR lady revealed that they were still interested in me, but needed to organize a second interview with the directors of the company, and that was apparently a very difficult task due to busy schedules (in truth they were probably too busy playing golf or skiing or partaking in other executive pastimes). I would have to wait until the start of the New Year for more news. Despite the delay, the positive news was that they were still interested in me, and that I would definitely get a second interview. More good news was to follow as Adecco contacted me with news of a temporary job in Montreux (a very nice part of Vaud), that was supposed to start in mid-January, installing software on students’ laptops and establishing their Internet connections. Not really something I had done before, but it could be interesting to give it a go, so I told Adecco that they could send my CV for this job. Having two potential jobs in the pipeline allowed us to relax during our 8 day stay in England over Christmas, enjoying the time we had with my family. And enjoy it we certainly did, as the recycling collection men could see by the enormous pile of empty bottles they had to pick up from my parents’ house (see "A Very Reed-Peck Christmas").